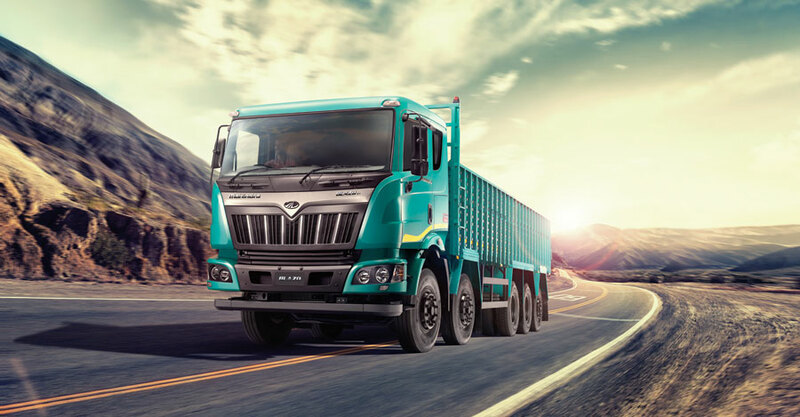 Mahindra Truck and Bus Division (MTBD), a part of the USD 17.8 billion Mahindra Group announced the launch of its new heavy commercial truck series under the brand name ‘BLAZO’ in Bengaluru yesterday (15 June 2016). The ‘BLAZO’ series includes haulage, tractor trailer and tipper and is equipped with the FUELSMART technology. Our truck and bus business has been growing steadily and is taking full advantage of the buoyancy in the HCV segment. We are confident that new BLAZO HCV range will further enhance our position in the market by significantly improving the customer value proposition. Besides bringing in the new technology, we have even refreshed the looks of the new series and have introduced the new turquoise blue colour variant. Further, given the sincere confidence that the brand exudes, we have chosen Ajay Devgn as the face of our new campaign featuring the Product and Service Guarantees. Mahindra Truck and Bus has rapidly expanded its after sales service and spares network which now includes 78 nos. 3S dealerships, 90 Authorized Service centres and 2900 roadside assistance points; and spares network of 1777 retail outlets to further improve the reach of support for customers on important trucking routes. The company also has India’s first multi-lingual helpline, NOW, which is manned by technical experts to provide instant support to customers. The NOW mobile service vans and mobile workshops further add to the reach and agility of the support network.